0My Microsoft(R) Windows(R) 10 is an easy, full-color tutorial on the latest operating system from Microsoft. This new edition covers the Fall Creators Update to Windows 10. This book is also part of Que's Content Update Program. 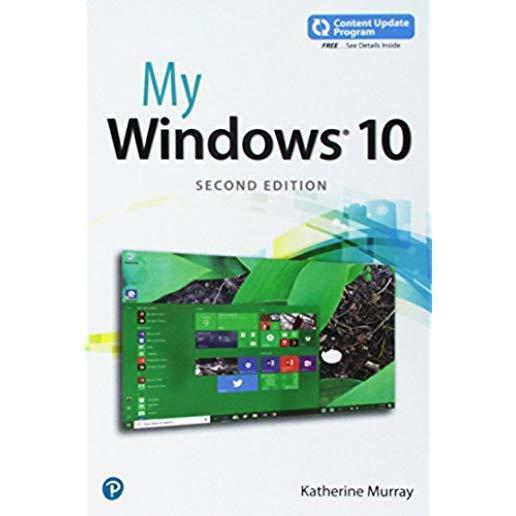 As Microsoft updates features of Windows 10, sections of this book will be updated or new sections will be added to match the updates to the software. The updates will be delivered to you via a FREE Web Edition of this book, which can be accessed with any Internet connection. To learn more, visit informit.com/CUP.